Mortgage interest rates change constantly. On some days, mortgage interest rates rise; and, on some days, mortgage interest rates fall. Many days, though, you’ll find rates doing both, rising and falling, which can make it difficult to shop “today’s lowest rate”. Mortgage rates are unpredictable. 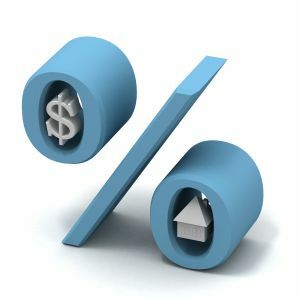 However, when we understand how mortgage rates work, we can put ourselves in a better position to shop for what’s good. Even a small change in mortgage rates can make a large, long-term impact on your budget. Shopping for low mortgage rates can be a challenge. Mortgage interest rates are in perpetual flux, and change with little or no advance warning. However, it wasn’t always like this, decades ago, rates were “set” by a bank. Today, Wall Street set rates. Or, more specifically, a Wall Street-traded security known as a mortgage-backed security (MBS) does. Understanding mortgage-backed securities, even on the most basic of levels, will make you a better mortgage rate shopper. Thankfully, mortgage-backed securities are pretty simple to understand and can be tracked in the Tampa Bay area. Mortgage-backed securities are bonds, bought and sold on Wall Street. Similar to how stocks trade, bonds have prices at which they can be purchased. When the demand for the bonds outpaces the supply of bonds, the prices for bonds rise. Supply and demand is a constant used in many different subjects. Now, in the mortgage world, where mortgage rates are linked to the mortgage bond market, there exists an inverse relationship between bond prices and mortgage rates. When bond prices rise, mortgage rates drop. Understanding this relationship, then, would be the first step toward knowing “Is today a good day to lock a mortgage rate?” Unfortunately, it’s not that simple. Getting access to MBS prices is expensive, far too expensive for an everyday home buyer or refinancing household. Wall Street pays tens of thousands of dollars to access MBS information in real-time. That’s not something you or I would do. So, without access to live mortgage bond pricing, what should you do when you want to lock a mortgage rate? Well, there are several ways to make educated guesses on the direction of today’s mortgage rates. In general, the following events tend to move 30-year mortgage rates lower. Falling inflation rates, because low inflation increases demand for mortgage bonds. One reason is weaker-than-expected economic data, because a weak economy increases demand for mortgage bonds. The next are war, disaster and calamity, because “uncertainty” increases demand for mortgage bonds. All of these reasons help push mortgage rates down. Conversely, rising inflation rates; stronger-than-expected economic data; and the “calming down” of a geopolitical situation all tend to move mortgage interest rates higher. Many of the stories affecting current mortgage rates are headline-type news, and readily accessible to the public, even if real-time mortgage bond pricing is not. Watch the news for 15 minutes, and you’ll have a feel for the direction in which mortgage rates are headed. You won’t always be correct, but you’ll have a fairly good idea. Mortgage interest rates are not the same for everyone. Consumers with high credit scores may get access to lower mortgage rates than those with low credit scores; just as buyers of a multi-unit rental home may get quoted higher than ones buying single-family homes as a primary residence. Furthermore, mortgage rates vary by loan type. There are four main mortgage loan types, which account for more than 90 percent of mortgage loans made to U.S. consumers. Mortgage-backed bonds govern interest rates for each, which means that by watching the news or by getting alerts, you can make mortgage rates predictions with reasonable certainty. Conventional mortgages are mortgages backed by Fannie Mae or Freddie Mac. Each has its own mortgage-backed security, which controls in which direction mortgage interest rates are headed. The Fannie Mae mortgage-backed bond is lined to mortgage interest rates via Fannie Mae. The Freddie Mac mortgage-backed bond is linked to mortgage-backed bonds via Freddie Mac. Mortgage programs which use conventional mortgage interest rates include the “standard” 30-year fixed-rate mortgage rate for borrowers making a 20% down payment or more; the HARP loan for underwater borrowers; the Fannie Mae HomePath mortgage for buyers of foreclosed properties; and, the equity-replacing Delayed Financing loan for buyers who pay cash for a home. FHA mortgage interest rates apply to loans insured by the Federal Housing Administration (FHA). FHA loans are available in all 50 states and are most often used by homebuyers in search of a low down payment. This is because FHA loans require a down payment of just 3.5%. FHA mortgage interest rates are based on mortgage bonds issued by the Government National Mortgage Association (GNMA). Among investors, GNMA is more commonly called “Ginnie Mae”. As Ginnie Mae bond prices rise, the mortgage interest rates for its related FHA programs drop. These programs include the standard FHA loan, as well as the FHA’s specialty products, which include the 203k construction loan; the $100-down Good Neighbor Next Door program; and the FHA Back to Work loan for homeowners who recently lost their home in a short sale or foreclosure. VA mortgage interest rates are also controlled by the price of a Ginnie Mae bond. This is why VA mortgage rates and FHA mortgage rates tend to move in tandem, and differently from conventional rates. On some days, for example, VA mortgage interest rates will improve whereas mortgage rates for conventional loans will not. VA mortgage interest rates are used for loans guaranteed by the Department of Veterans Affairs such as the standard VA loan for military borrowers; the VA Energy Efficiency Loan; and the VA Streamline Refinance. VA mortgages offer 100% financing to U.S. veterans and active service members, with no requirement for mortgage insurance. The same Ginnie Mae mortgage bonds as the interest rates govern USDA mortgage interest rates for FHA and VA loans. Of the three, however, USDA mortgage rates are often lowest. This is because USDA loans are guaranteed by the government, but also accompanied by a small mortgage insurance requirement. USDA loans are available in rural and suburban neighborhoods nationwide. The program provides no-money-down financing to U.S. buyers at very low mortgage rates. Mortgage rates are unpredictable. However, with an understanding of how mortgage bonds work, and what makes them move, you can be a better position to lock your lowest rate possible.